Go for a classic style in a Calvin Klein Jeans turtleneck sweater and black dress pants. When it comes to shoes, this getup pairs nicely with black leather double monks. 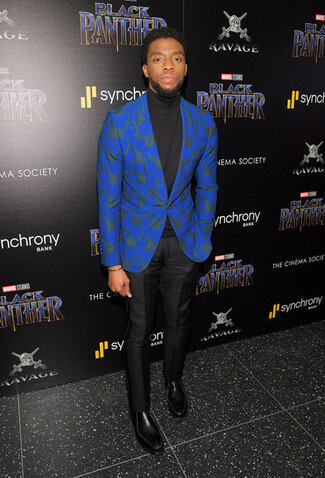 If you're after a casual yet sharp outfit, dress in a black turtleneck and blue jeans. Both garments are totally comfortable and will look great paired together. For something more on the daring side to round off this ensemble, go for a pair of grey suede athletic shoes. If you prefer relaxed dressing when it comes to your personal style, you'll love this on-trend combo of a black turtleneck and black ripped jeans. To add elegance to your outfit, complement with black studded leather derby shoes. 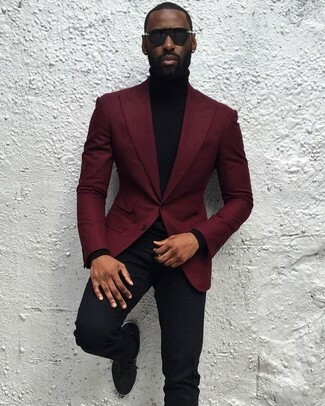 If you're on the hunt for a casual yet dapper outfit, wear a black turtleneck with black chinos. Both items are totally comfortable and will look great together. 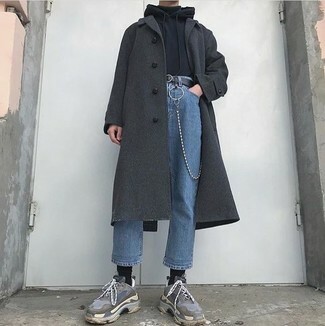 For something more on the daring side to round off this getup, choose a pair of black low top sneakers. 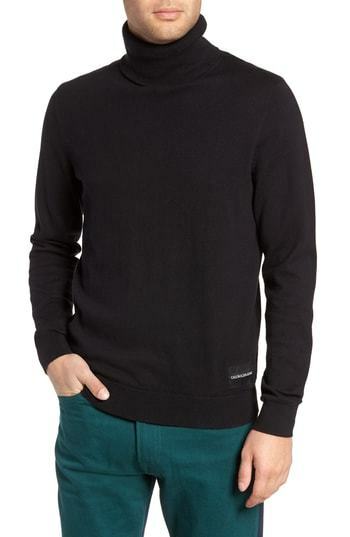 Try pairing a Calvin Klein Jeans turtleneck sweater with black dress pants for incredibly stylish attire. 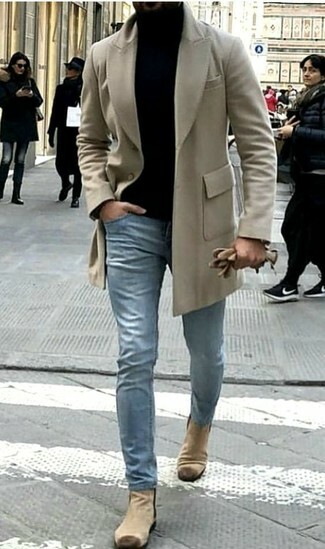 Black leather chelsea boots complement this outfit very well. 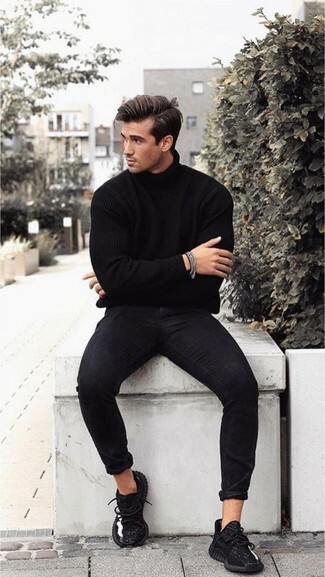 If you're in search of a casual yet stylish outfit, try pairing a Calvin Klein Jeans turtleneck sweater from Nordstrom with blue skinny jeans. Both garments are totally comfortable and will look great paired together. If you're after a casual yet on-trend look, wear a Calvin Klein Jeans turtleneck sweater with light blue jeans. Both pieces are totally comfortable and will look great together. Dress up your outfit with beige suede chelsea boots. 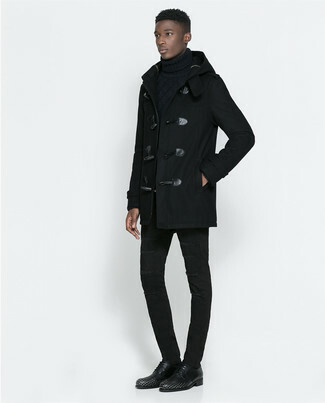 If you're hunting for a casual yet on-trend look, go for a black turtleneck and black skinny jeans. As well as totally comfy, both of these garments look great when worn together. Black athletic shoes will add a casual vibe to your look. 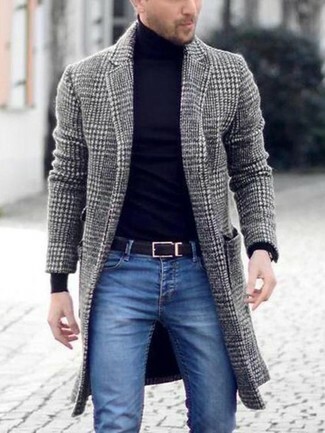 Wear a Calvin Klein Jeans turtleneck sweater with grey wool dress pants like a true gent. 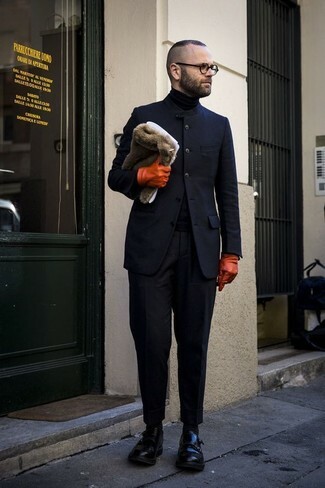 For something more on the daring side to complement this getup, go for a pair of black suede desert boots.